UCI Symphony Orchestra: The Defiant Sixth! The UCI Symphony Orchestra is one of the premier large performance ensembles in the Music department. The orchestra has been in existence since 1970, offering music majors, non- music majors, faculty and other community members an opportunity to study and perform symphonic music of the ages. 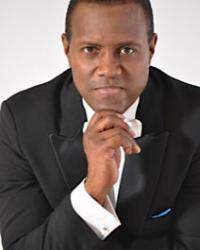 The orchestra’s regular concert performances (five or six per year), in the Irvine Barclay Theatre, or the Claire Trevor Theatre, include music from the standard repertoire as well as recently created works and world premieres. Recent orchestra performances have included works such as Hindemith’s Mathis der Maler, Bruckner’s Romantic Symphony (No. 4), Debussy’s La Mer, Mahler’s Symphony No. 1 (Titan), and Duke Ellington’s The River. The orchestra also offers musical support to the department’s opera program, augments the Dance department’s Dance Visions, and assists in the Drama department’s musical presentations. 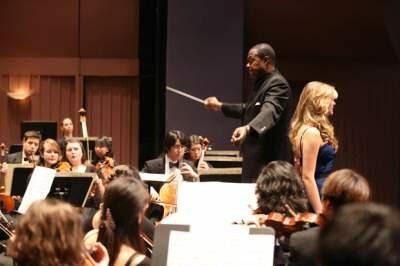 In addition to its on campus performances, the UCI Symphony has been honored with invitations to perform at community events and concerts for organizations such as the Desert Visionaires in Palm Desert, and for the Jewish Community Center of Silicon Valley in Los Gatos, California.